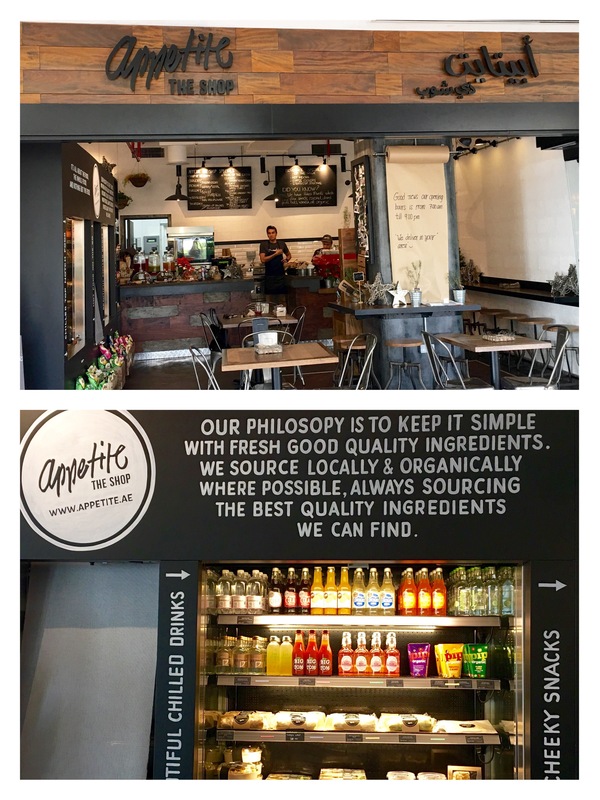 Appetite The Shop is a home grown concept started by the husband and wife team of Manar and Suzi. Their philosophy is to keep the food simple with fresh and good quality ingredients. All the ingredients are sourced locally and organically where possible. Everything is preservative free at Appetite The Shop. You can expect fresh and delicious food, full of nutrition. Appetite The Shop is a small restaurant that specializes in pre-packaged and ready to go food. All their packaging is environment friendly. They use compostable tubs for their salads boxes, cups and straws and nearly all their packaging is biodegradable. I am so glad that the healthy food concept is finally catching up in Dubai. I always get excited to visit a restaurant that serves healthy and fresh food. Being a vegetarian, I am happy to see many choices at Appetite The Shop. As I entered the place, I was wondering whether the quality and the freshness of the food will be like the way I make it at home. All my homemade meals are cooked fresh with high quality products. As I want nothing, but the best for my family, especially my growing kids. The first impression I got of the place is: it is more of a grab and go kind of a place, like coffee shops. The restaurant is small in size, with indoor and outdoor seating. It has an urban cafe vibe. It is such a cute little shop/restaurant that I immediately fell in love with it. The interiors are simple and done up aesthetically. Their beverage menu consists of fresh juices, coffee and tea. Their retail section has a wide range of drinks. I opted for their freshly made in-store juice. 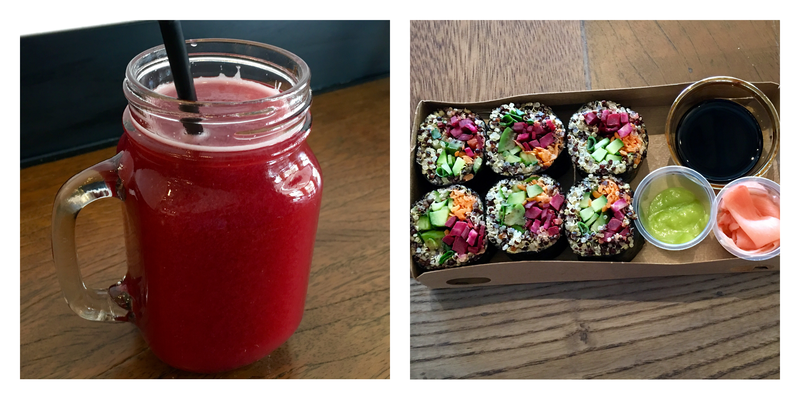 I tried Basil Lemonade, Summer Fiesta and Beetroot Litchi. I liked them all, but my favorite was the Summer Fiesta. It was a perfect blend of apple, pomegranate, blueberry,ginger,raspberry, blackberry and rosemary juices. There was no added sugar. It is a refreshing drink, no wonder it is their signature drink. Next I had the gorgeous looking Beetroot & Avacado Organic Quinoa Nori. It comes with Wasabi, Soy, Ginger pickle and Schiracha Mayo. It is a meal in itself. There are 6 big nori rolls in one box. It tastes as good as it looks. I had the Wicked Mac ‘n’ Cheese on recommendation of the staff. Their Mac ‘n’ Cheese also had cherry tomatoes and basil. I can’t tell you how delicious it tasted. I can make a trip to Appetite The Shop to just order this delicious dish. As for desserts I had the Cranberry Muffin and also tried the Chocolate Fudge. The muffin was freshly baked with cranberries inside. It was moist. Small square pieces of chocolate fudge came in two packages. I tried the small pack. It was delicious. Appetite The Shop also offers breakfast breads,breakfast pots, cereal bars, sandwiches, toasties,quiches, soup,salads and wraps. They also have baked goodies like cakes and other sweets. Though this place is meant for take away and to grab a quick bite, it is nice to sit there and have a meal. 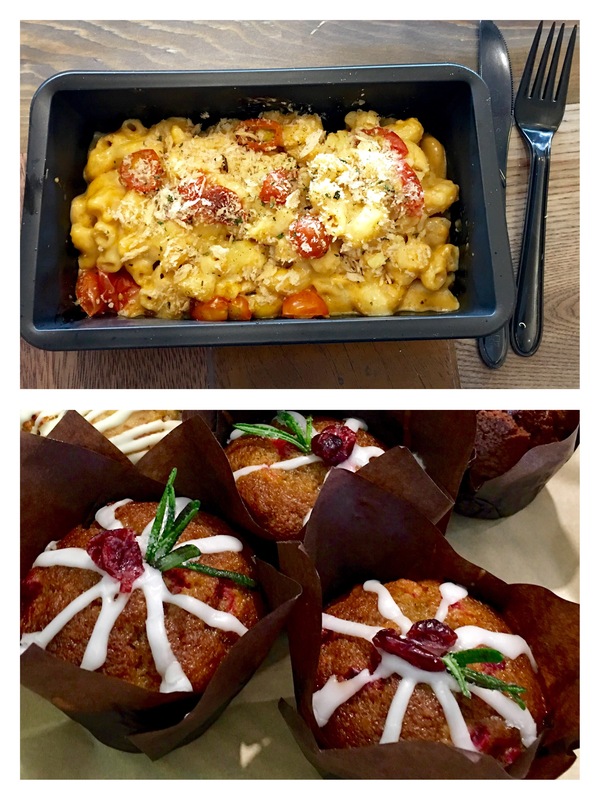 The pricing is reasonable for the high quality and fresh food served at Appetite The Shop. The staff and the service is helpful and efficient. This is one place I would love to come back again and again.